There’s a new press release out about my book! 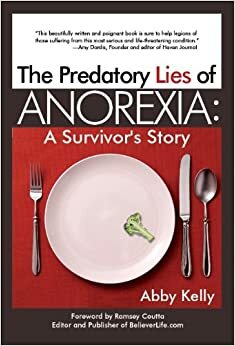 Abby Kelly’s new book Surviving the Predatory Lies of Anorexia has just been released in an ebook format, by well renowned international lecture and counsellor Bettie Youngs publishing company, Bettie Youngs Books. In this book Abby reveals her compelling story and battle with overcoming Anorexia. She describes the root causes to her illness, and shares extracts from her journals. Her family members will also inform what it was like for them to see her suffering with this disorder.